Licensing laws for pipefitters vary from state to state. 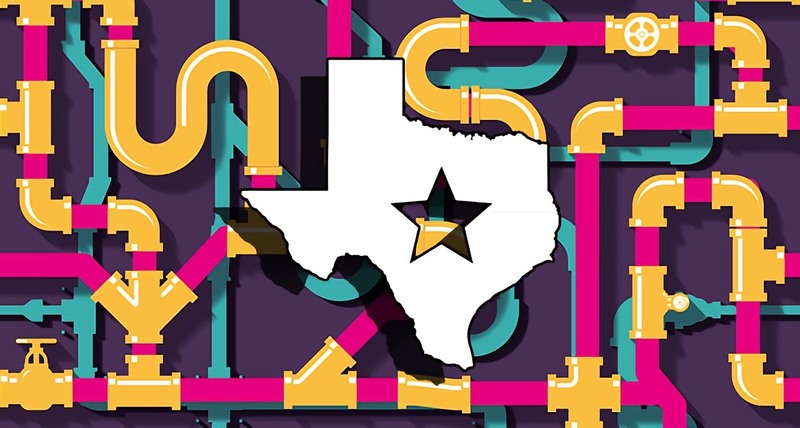 While Texas does not require pipefitters to obtain a license, those who also handle plumbing jobs will need official licensing in order to legally work in the state. In addition, there are specific study requirements for those who want to obtain a journeyman pipefitter license. Pipefitting is a skill that is often learned via an apprenticeship; however, there are advantages to attending technical school. While on-the-job training is important, technical school provides a solid foundation in basic skills as well as opportunities to work with a variety of cutting edge tools and equipment. Courses taken at an accredited educational institution can substitute up to one year of apprenticeship training. Technical schools also offer services that apprenticeships do not provide. These include financial aid, student housing and career placement services. Obtaining a certificate from an accredited vocational school may also make it easier to find a good job. Because the duties of a plumber and a pipefitter can be similar, it is a wise idea for any pipefitter who wants to work in Texas to obtain a plumber’s license. You can obtain a regular license by applying to the Texas State Board of Plumbing Examiners and taking an exam. This license is beneficial in that it enables you to take on jobs that you would not be qualified to handle otherwise. Moreover, the average hourly wage for a journeyman pipefitter ranges from $18.11 to $40.79 an hour. If you are looking for a hands-on occupation with plenty of job opportunities and decent wages, then pipefitting may be a good option for you. Job growth in this field is set at 21%, which is faster than average. Additionally, pipefitters in Texas earn a mean annual wage is $44,690, or $21.49 per hour. Anyone who wants to work as a pipefitter in the state of Texas may want to consider a Pipefitting Training Program to increase your ability to obtain a license and a job with a good income.